I have all these things to tell you but none of them are important enough to actually get a post so I will lump them all together in no particular order. 1. There is a gnat in my office, he has been here for 2 days and I cannot kill him, catch him, and he is DRIVING ME NUTS!!!!! 2. This whole afternoon I have been in an amazing mood. Yes the day is still moving so slow and I am pretty sure I will never meet 5:00! It's getting so close. 3. 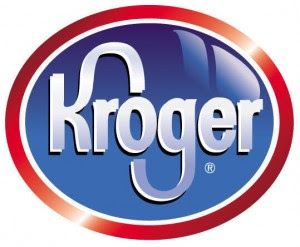 Today I realized that I spend entirely way too many lunch breaks at Kroger, it has actually become my lunch break hang out. I don't have one in my town so I enjoy it for 1 hour a day. 4. And today, I got hit on and flirted with by the check out boy! I know right...he had to be over 18 cause it was in the middle of the day but he was still really young. LOVE IT! 5. In 2 days I have bought 12 bottles of Purell Hand Sanitizer. Apparently they have changed the formula and no one likes the new kind so I am buying all the old I can find....at Kroger! 6. Every time I open my Facebook and there is a notification it excites me....then I open it and it says "______________ likes your status update." Well I like it too, it was funny when I posted it! I wish there was a "Me Too" button. 7. I officially Wrong Number Texted someone today and I am soooooo thankful that it was my sister and not someone else. It wasn't ugly or dirty or anything but embarrassing for sure! 9. After weeks of making fun I am afraid that the phrase, "Cray Cray" is going to catch on. Ive heard it twice in two days! 10. I watched Big Bang Theory the other night and one of the characters was drinking Diet SunDrop. That used to be a TN thing but not anymore! woo hoo! The Big Bang Theory is one of our favorite shows...I didn't see the sundrop episode. Who was drinking it?? ?